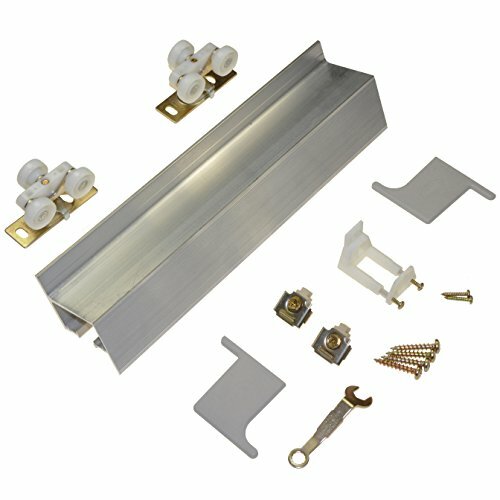 COMMERCIAL GRADE - Top Hung Wall Mount Sliding Door Hardware *With Nylon Hangers. TRACK TYPE - Single Extrusion Box Rail Fascia. SOLID MATERIALS - Mill Grade Aluminum Track Finish. HEAVY DUTY - 200 lbs [91kg] Max Weight Per Door, 1" [25mm] to 1-3/4" [44mm] Door Thickness. MADE IN USA - Built in the United States. If you have any questions about this product by Johnson Hardware, contact us by completing and submitting the form below. If you are looking for a specif part number, please include it with your message.